We often consult our clients in the area of process management. We are most frequently asked to help tune the performance of internal company processes. Usually, in this case, the company has enough professionals, enough funds and time. Yet in any case contracts fail from time to time. What is wrong in this case? Of course, the first advice we can give is to use process management software, like Comindware Tracker. But before you’re able to use it in the most efficient way, you need to find out what these ‘untuned‘ processes are, what people are doing every day, and basically go into in depth detail which is often called a process audit. When you have this information, the rest is simple: just use the Comindware graphical workflow builder to create workflows for your daily activities. So, the main hurdle to overcome before you’re able to answer this question is to gather this information from the client. We can ask each manager about what their subordinates are doing, what their responsibilities are. But, from our experience, what happens most of the time is that managers cannot answer this simple question. And that’s why we need an additional information source: formalized, detailed and clear. And that’s why, even if your processes are not properly designed yet, I would already advise you to start using Comindware Tracker. Comindware Tracker will help you to make it clear who is doing what, gather information about your processes and then, when you find out how to improve them, improve them on the run – all within a single workflow management system. 1. Your employees track all their working activity in Comindware Tracker. 1. Spent one hour, printing documents for the HR department? Track it in Comindware Tracker. Consulted new employee for about three hours? Track it. There are many ways to track and manage everyday activities in Comindware Tracker, but for now I advise you to use a simple “Task group”, to which every your employee has access. 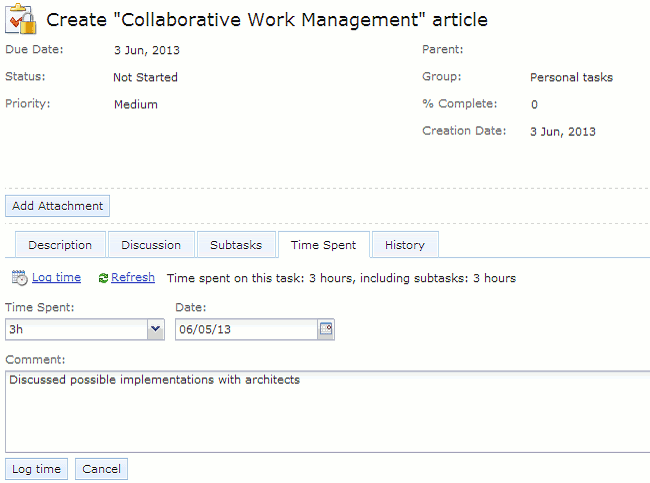 To create the task group, just go to “Administration” page and select the “Groups” section. 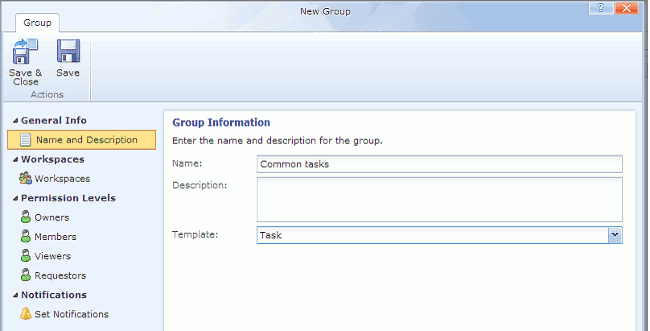 Click the “New Group” button and create a new group for the “Task” template. Using the “Members” (or “Requestors”) tab of this dialog, give all your employees access rights to this group. 2. Your employees use the “Time Spent” tab of the Workflow task form to log the time they spent working on the task. 2. Either you’ve spent three hours or three days – don’t forget to insert this time. It’s simple – just open your Workflow task, select the “Time Spent” tab and click the “Log Time” link. In this dialog box, insert the amount of time you spent working on this task. Select the date when you were working. Optionally, you can enter a meaningful comment – what exactly you’ve done during this time and why. 3. Do not be afraid to design your first processes even if you know that they will change. You can spend a year trying to design a perfect process and then realize you haven’t taken into consideration something tiny, yet this tiny thing requires the redesign of the whole process. Another year of ‘perfect designing‘? Now you don’t have to do it. Design your own processes right now, fix them at any moment, try them right now: Comindware Tracker allows you to make changes to workflows without any significant impact on the process even if it’s already started. This approach helps you to find and fix all process design errors early. Obviously, this reduces the cost of implementing processes and fixing any kind of errors. What do you get, if your employees follow this simple advice? When you start using Comindware Tracker to find out who is doing what in your company, you can view what your team players are doing and what their most time-consuming activities are. Just take a look at the list of their completed tasks and the “Time Spent” records for these tasks. In a short period of time, you get all the information to design and optimize your processes. With this method, you can discover some process patterns, which used to be invisible to you before. We have recently surprised one of our clients: he didn’t know that one of his managers had asked his subordinates to write daily reports. And each employee should have spent about one hour each workday making those reports. After we discovered that, my client has slightly optimized the reporting process and, thus, saved a lot of time for the employees’ usual business. Find out more about your internal processes and tune unoptimized processes. 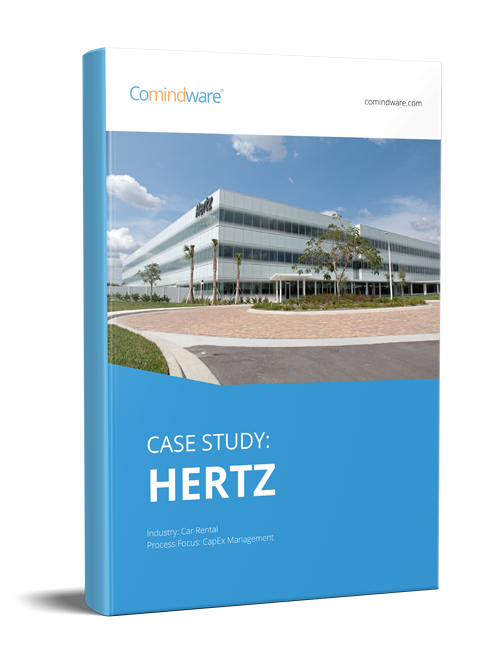 Discover best practices by using Comindware Tracker. Register now for your free 30-day trial. Project management vs. Process management: So Happy Together How to handle business process management in Outlook Holistic Management Approach – Process Management System in Action What is the difference between business process modeling software and business process automation systems?